This morning I saw that Divorce Your Car! ranked #2 on Borders Books Australia’s list of “Top 5 Pollution Control Books.” Great! I thought, although when I looked at other titles on this list, I noticed that almost all of them are technical texts about remediation. A little different from Divorce Your Car!, which quotes Monty Python and tells stories about early car enthusiasts touting the supposed health benefits of the horseless carriage. But that’s ok, because yes, the book does also discuss how to control pollution by driving less – in several chapters, as there are so many ways to do this. 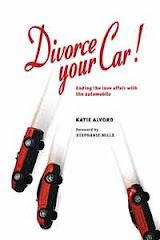 Finding Divorce Your Car! on this list is yet one more example of how, once they’re launched and out in the marketplace, books can take on lives of their own. I’m frequently surprised by the places in which this book gets listed, classified, or otherwise mentioned. Somebody in Australia must be buying Divorce Your Car! for it to make this list of top pollution control texts, so whoever you are, thanks! And thanks to Borders Australia for adding this pleasant and amusing little surprise to my morning. Inspired, John and Marcia returned home and moved from suburbs to city, cutting their car use and ultimately going carbon neutral. 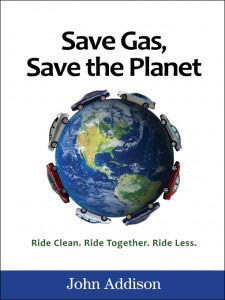 Now John has written Save Gas, Save the Planet to urge others to take similar steps. The book is a positive addition to the literature about greening transportation. A troika of tips sums up the solutions it covers: 1) ride clean; 2) ride together; and 3) ride less. In chapters that feature stories from folks both car-lite (he uses the spelling “car-light”) and car-free, he explores cleaner fuels, transit options, ridesharing, and self-propulsion by bike and on foot. The last few chapters focus on the bigger picture, covering issues such as climate change and the security ramifications of our oil addiction. Each chapter ends with handy lists of specific actions that can 1) save gas, or 2) save the planet. Of course, many of them do both. It’s a nice feature that adds to the book’s utility as a how-to guide. 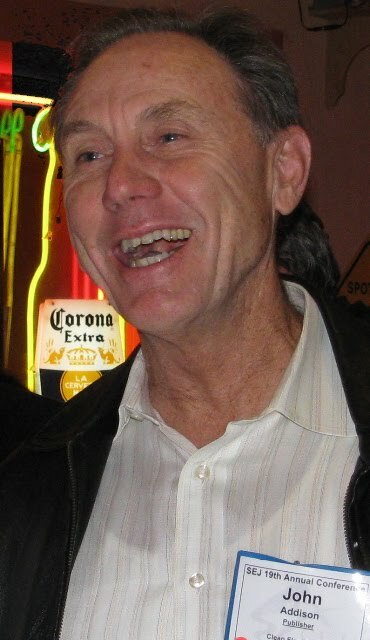 John draws on his expertise as editor of the Clean Fleet Report (tagline: “hybrid & electric cars smart charged with renewable energy”) in the book’s six detailed chapters about EVs, plug-in hybrids, biofuels, and other cleaner car options. Admittedly, all this ink on clean cars and clean tech is interesting and highly informative, but it does have a tendency to make me nervous. It’s not that we don’t need clean energy – we desperately need to wean ourselves from fossil fuels – but I fear too much focus on the technofix risks leaving people with the idea that EVs can solve the whole problem (see Chapter 14 of Divorce Your Car! for more on why they can’t). To his credit, though, John makes clear the need for renewable recharging when using EVs, and balances his approach with his chapters on shared transport and cutting the need for travel altogether. One of my favorite chapters is titled “The Car-Free Option.” In addition to telling some good stories about folks living car-free, the chapter taught me some new acronyms. 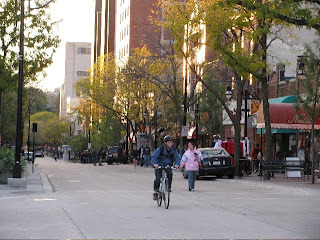 As John writes: “Enlightened communities are in the transition from car-oriented urban gas hogs (COUGH) to people-oriented development (POD).” If you know transport reform, you know it never seems to get done without a slew of acronyms. I first learned about Save Gas, Save the Planet at last month’s conference of the Society of Environmental Journalists (SEJ), where I had the pleasure of meeting John (pictured at SEJ above). He now lives in San Francisco, where he and his wife enjoy walking, biking, and taking renewably-powered transit.